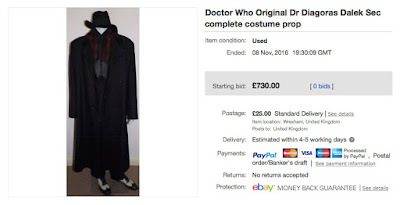 I spotted this on eBay this month. 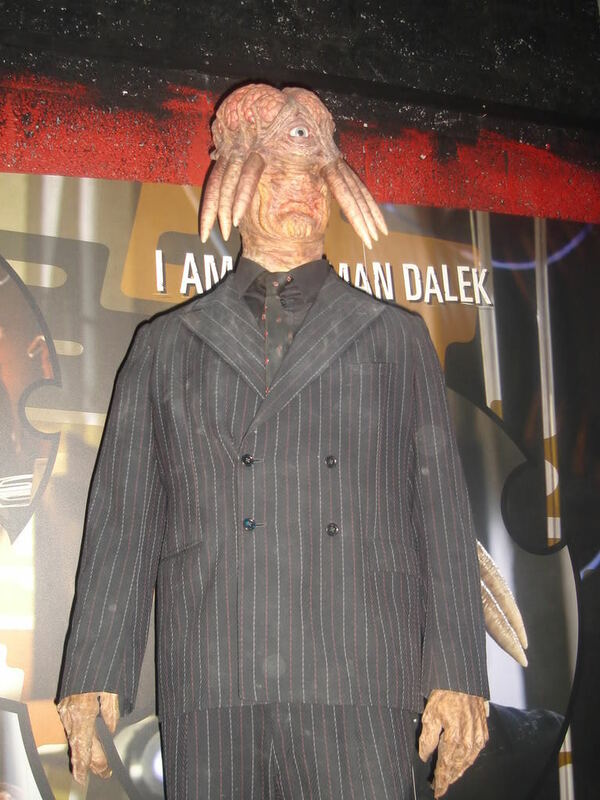 The Dalek Sec costume was originally sold at the Bonhams auction - 15th December 2011, selling for £438. 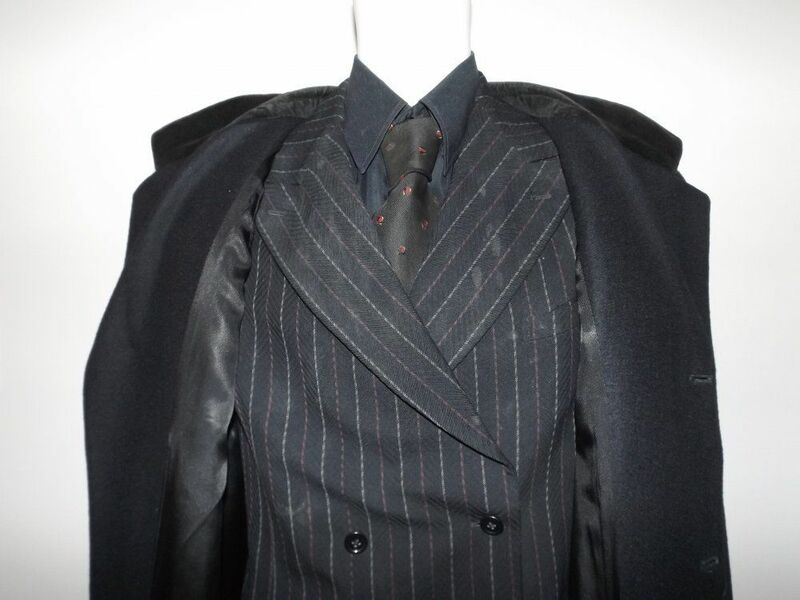 Complete screen used costume bought from Bonhams 15th Dec 2011 sale. 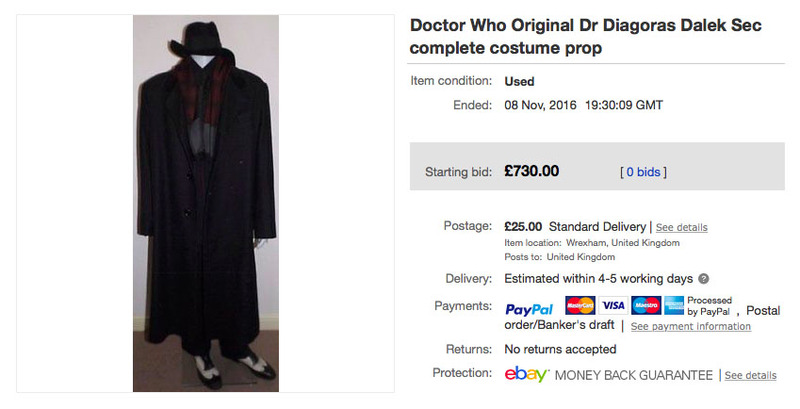 This includes Hat, Suit, braces, shirt, tie, scarf, shoes, coat and a small script that was found inside the coat pocket. I will include a copy of the payed invoice from Bonhams, this will only be given to the winning bidder due to having my personal info on it. Includes pictures of it on display, they never displayed it with the coat,hat and scarf ala Dr Diagoras only as Dalek Sec.